We invite drivers from Pompano Beach, Florida and beyond to trust in our dealership. We have tons of positive reviews (which you can see below), raving about our excellent selection of cars, sales, and service options. Be sure to contact us the next time you're looking to finance a new vehicle! "Bobby and team are tremendous. I have done numerous transactions with him over the years, he is always upfront, honest and looking out for my best interest. I am blown away about him going above and beyond at all times. Thank you again to performance Nissan, I wish I could lead 50 stars." 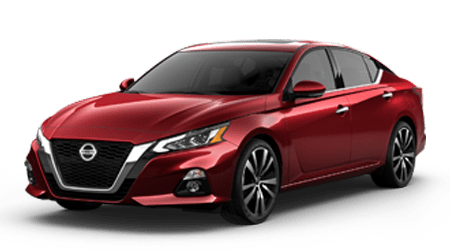 "I traveled 8 hours from SC to buy a vehicle at Performance Nissan, and they absolutely exceeded my expectations with the quality of the car, the deal, and most importantly their commitment to do the right thing. The sales manager, Derek, took personal ownership of a situation and went above and beyond to make it right. The sales associate, Kelvin, worked very attentively throughout the entire process. The issue originated from another service department at a different dealership, but Performance Nissan stepped up big time to fix it. Derek's peer in the finance department was also full of honesty, and that was refreshing. I am an experienced buyer with mechanical and finance knowledge, so I usually let people hang themselves by attempting to pull their stunts. There were no tricks here. I recommend this dealership. They stand behind the cars they sell, offer great deals, and operate with integrity. Go buy your car there. You will be happy." "the entire team at performance Nissan rolled out the red carpet for us when we bought our new Nissan. I could not be more pleased with the pricing of the car and the service we received. They went above and beyond to ensure my satisfaction with the car. If you buy a car from anyone else, you are crazy. I will be back for my next vehicle for sure. Well done Performance Nissan!" "Wow! What an incredible car buying experience. I rarely write reviews but Performance Nissan deserves a 10-star rating! From the excellent communication with Brian Mink to my great salesperson Kelvin. It was the most enjoyable car buying experience ever! Thank you, Performance Nissan! Also, I received a 20-year/200,000-mile warranty on my vehicle with no additional cost!" "This is a great family run dealership. I just purchased my new Nissan from Performance Nissan and had a great experience. The 20-year/200,000-mile warranty is awesome, especially since on my last vehicle my transmission went out. Now I don’t need to worry. Thanks, everyone at Performance Nissan!" "Performance Nissan is nothing but a top shelf operation. I just purchased my 2nd vehicle from them and from start to finish, it was a breeze. The salesman was a superstar with incredible knowledge of the product. He went above and beyond and really made me feel apart of the family. I would recommend this dealership to anyone not only looking for a Nissan but any make and model. Thank you again!" "I can’t say enough good things about the team at this dealership. We drove from Miami to buy our Murano, and I’ve never had a better buying experience. Kelvin, our salesman, took the time to make sure everything worked perfectly and to my satisfaction before we closed the deal. He took care if any and every concern I had with the vehicle. And Derek Nagel, the sales manager, worked to get the deal done smooth and painlessly. I could go on and on. But I would recommend these guys to anyone. Even if you have to drive three hours, IT’S WORTH IT. Thanks, everybody, and thanks Kelvin!!!" "I’m very grateful with Performance Nissan, as soon as I get in at the dealership I felt a very friendly environment. Roberto took care of me, got me a great deal on my new Kicks. Also, Derek was a very kind Manager and got me the best rates possible. Thanks again, guys. Looking forward to doing more business with you in the near future!!!!" "My wife and I had an excellent experience purchasing a Nissan Rogue this week. Roy was our sales rep, and he bent backward and forwards for us to make this deal happen and he provided excellent customer service. My wife and I love the vehicle and very happy with our decision. If anyone is looking to purchase a Nissan, I recommend they come to Performance Nissan." "This is my second experience with the purchase of a car from Performance Nissan. KELVIN is an amazing sales representative who understands and respects the needs of his clients. He kept my wife and me within our budget, provided a car that was both luxury and affordable and made me feel good about moving forward with the deal. Thank you for making this transaction easy Kelvin. We love you." "I was really impressed with my experience at Performance Nissan. As soon as you walk in your greeted by friendly staff. My sales consultant was Renee, and it was amazing. My husband and I told her what we were looking for and she went above and beyond to meet our expectations and to make sure we were satisfied. I’ve never had such an incredible car buying experience. Thank you again, Renee and the rest of the staff at Performance Nissan." "We are a family owned and operated Plumbing company in West Boca, we had been pricing cargo vans from Fort Pierce to Fort Lauderdale. Ed Stackpole at Performance Nissan went above and beyond what every other dealer up and down the cost could put together as a drive it off the lot straight to the job site truck. If your a small business owner looking to make a vehicle investment save your self some time and aggravation and just give Ed a call. Trust me when I say you will not get a better price of mind warranty and service than you will with Ed Stackpole at Performance Nissan." "The most enjoyable car sale experience in my lifetime. Go see Fred! He will take care of you!"